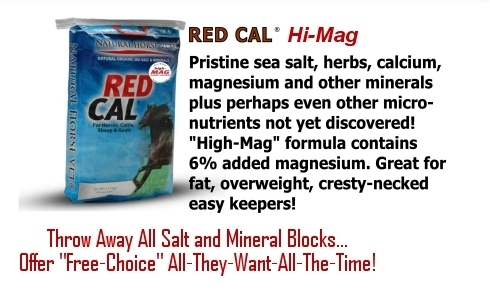 No Horse Should Go Without The Natural Salt, Minerals And Electrolytes (and more) That RED CAL Provides. 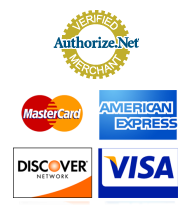 It is our #1 most-provided product with tons shipped weekly! It is fed FREE CHOICE, so its easy. Although you let them eat all they want, its economical too! *Typically a 25 lb bag will last from 100-200 days for one horse but will vary depending upon the individual needs. Buying our bulk packages will make your per-day, per-horse investment even less! Did you know that salt & mineral content and quality varies greatly? Unlike most, RED-CAL is not bleached, kiln dried, heated, or altered with chemicals or pollutants, its balanced by nature, not by man! The minerals utilized are the finest available, with detail especially to purity and absorption. You can expect support for stronger bones, muscles, ligaments and better performance regardless of discipline. We believe this is our finest product yet developed and your horse will prove it. It is OK to use along with any of our other products and for any horse, any age. Use year-round, all-they-want, all-the-time and remove all blocks and rocks for best results. Rocks And/Or Blocks Are Useless!" Did you know that most commercial salt and minerals are either "man made" or some other industry's waste product? Unlike these, ours is not bleached, kiln dried, heated, or altered with chemicals or pollutants; it's balanced by nature not by man! Did you know that blocks for horse, and others for that matter, are almost useless and potentially dangerous! They just can't get what they need, when they need it, fast enough by trying to lick or chew from a block! When the weather changes sudden imbalances in the grass can occur. When the weather changes sudden imbalances in the grass can occur. The chemical composition of grass actually change with the weather. As Dr. Swerczek concluded in his note to me at Why Red Cal Works, "After a freeze there is a spike in potassium nitrate in the forages..."
Horses must be able to get what they need when they need it! Period! RED CAL is fed free-choice and loose, not in a block form. Just hang a bucket on a fence post and pour a little in it. Rain does not even diminish effectiveness. If you don't consider any other portion of our feeding program at this time, at the very least you should provide RED CAL free-choice for your horses." Sheep & Goats (all classes): Feed Free Choice (typical consumption should be approximately 1/2 to 2 ounces per head per day). Alternatively, top-dress 1/2 to 2 ounces per head per day. Additional Info: When first introduced, it is not unusual for animals to consume higher amounts. Always provide a good source of water. Rain and weather does not diminish effectiveness.Pour excess water off and continue feeding. For best results remove other forms of salt and salt/mineral blocks. One heaping tablespoon equals approximately 1 ounce. INGREDIENTS: Organic Natural Sea Salt, Ground Dried Grape & Seed Pomace*, Calcium Carbonate, Yeast Culture, Diatomaceous Earth, Garlic, Montmorillonite, Thiamine Mononitrate, Selenium Yeast Culture, Magnesium, Distillers Grain, Mineral Oil. Save with multi-bag purchases below! Now with bulk pricing. Click on a product to see "Quantity Pricing"! 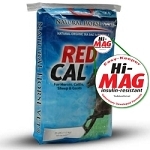 RED CAL Hi-Mag (2-25 Pound Bags) SAVE ! $5.00 PLUS FREE SHIPPING WHEN YOU BUY 2 BAGS !